Leave your valuable suggestions to improve our forum PharmD Info. Based on members request new forum tiles can be made.Members can raise topics to get any technical support regarding Forum and E-Learn system. e.g. New forum Request, Moderator access, Copy Right Issues,Technical Support and etc. Forum rules: Dear User, Kindly read our forum rules before you proceed with our PharmD Info, Your first 5 posts/topics requires moderator approval and your each post will be rewarded with 1 BB Points and 2 BB Points will be offered for your replies on any forum topics. These points will help you to upgrade your membership level with PharmD Info Forum. PharmD Info website is purely meant for educational and knowledge sharing purpose only so you should not make any topics/replies/messages which criticize, threaten or abuse any member, pharmacy governing bodies and organizations. Your post will be deleted automatically by our BB Pruning System if your topic is not viewed by members for more than 5 days. So, make sure that your topics and its related contents are unique and valuable. Kindly note that if a member received more than five warnings from moderator/members they will be blocked automatically by our Bulletin Board system. What is PharmD Info BB Point? PharmD Info ( Bulletin Board) BB Points is an automated system which offers points to its registered members based on their level of contributions in terms of content writing and for their inputs under any forum discussion topics. Each member will receive 10 BB Points after their registration with www.pharmdinfo.com as a complement to understand this process. What is the use of BB Points? BB Points may help you to read Paid Up-topics. 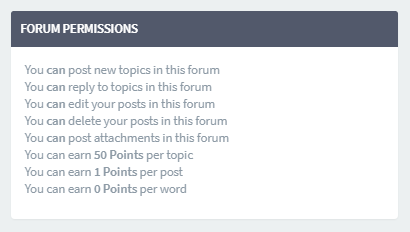 Topic developer may set maximum 10 points to read his/her topic contents. Interested members can pay and read any Paid Up topics using their earned BB Points. 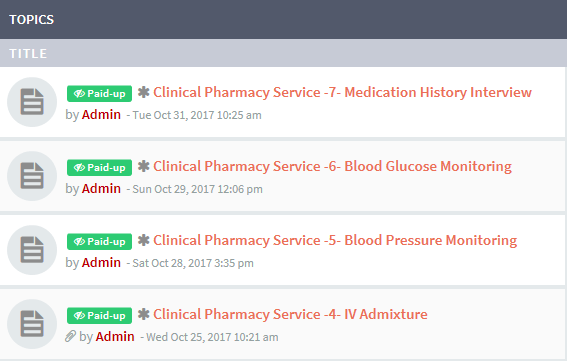 BB Points will be offered by the system automatically when a member make a post/topic in PharmD Info Forum. Each post/topic will be critically reviewed by the forum moderators before it get published on our forum. As simple your contribution in our forum will help you to earn more BB Points, you can raise questions or provide answers to others questions. Members should post their contents only under respective forum titles to claim their BB Points through our system. Allotment of BB Points and its related matters are subject to change at any time by the forum moderators and administrators of PharmD Info forum. Under each forum permissions and BB Points details will be displayed based on your role. How to Transfer BB Points to other members? The BB Points can be transferred to other members by accessing their BB Points Transfer log from their User Control Panel. The below picture shows how to access transfer log. How to use my BB Points to read Paid Up Topics? So its important to identify which is paid and non paid topics , if you interested to read any of these topics just click on the title and you will be asked to make the payment as BB Points. Note: You must have sufficient BB Points in your account to make any payments. In the following example its shows how to make payment. 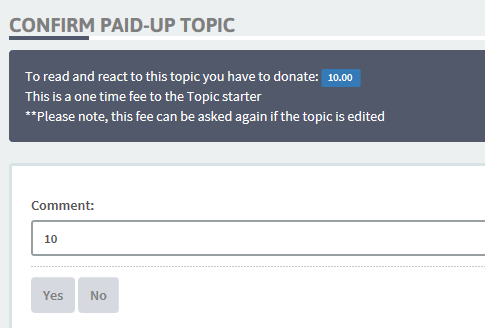 Once you paid you can access that topic at any time through your account and you can get involve in discussions with the author and other paid members. If any have doubts regarding PharmD Info BB Points feel free to ask question by replying to this topic. Sir, I tried some of the topics using my earned BB Points. Very useful Information.